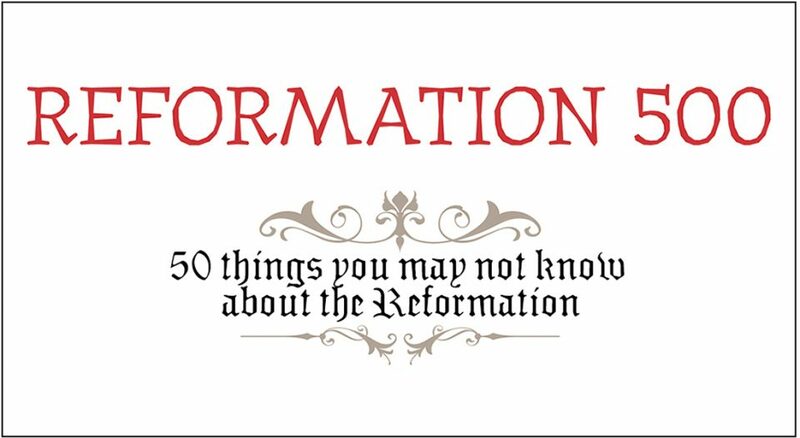 As we commemorate the 500th anniversary of the Reformation, Living Lutheran is exploring 500 of its unique aspects, continuing the series this month with 50 things you may not know about the Reformation. 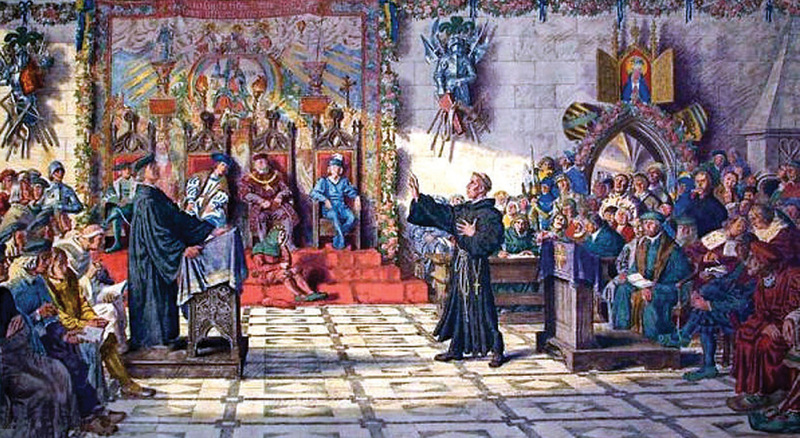 The name “Lutheran” originated as a derogatory term used against Martin Luther by German scholastic theologian Johann Maier von Eck during the Leipzig Debate in 1519. While reformers rejected marriage as a sacrament of the church, they expanded the role of the church in marriage. Couples took an oath before God and the ceremony was moved from outside the church on the doorstep—a medieval practice—to inside the sanctuary in front of the altar. The Reformation created a demand for all kinds of religious writings. Readership was so great that the number of books printed in Germany increased from about 150 in 1518 to nearly 1,000 six years later. By the time Luther died, 30 editions of the Small Catechism had been published. By the end of the 16th century, there were an additional 125 editions in circulation and approximately 100,000 copies in print. An estimated 6,001,500,000 Bibles have been printed since the first one came off the press in the Middle Ages. The first Bible published in North America was printed in 1663. 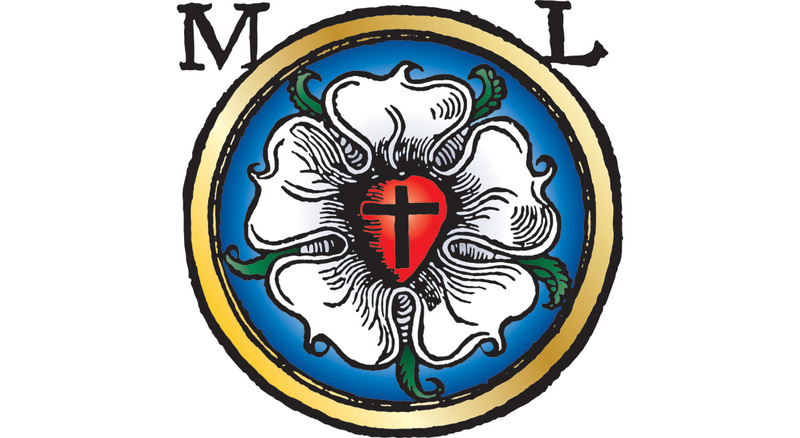 The Luther rose (or Luther seal) was created at the request of printers to have a personal symbol representing the reformer’s faith that could serve as a mark indicating something was an authorized publication of Luther’s. It became widely recognized as the symbol for Lutheranism, and still is today. With the invention of the printing press and the introduction of pamphlets and booklets to the public, women in the 16th century found increasing access to information they had been previously restricted from reading, studying, discussing or even listening to in public settings. The Reformation paved the way for what we still refer to as a “Protestant work ethic.” Luther’s teachings about the “priesthood of all believers” helped dissolve the wall between “temporal” and “spiritual” realms. In doing so, everyday work and labor was affirmed and seen as pleasing to God; it was no longer considered an inferior life to that of a monastic life or the priesthood. Education was set on a far-reaching course of reforming thanks in part to Luther’s advocacy and ideas that a proper, well-organized and broad education for all children—not just those of the wealthy elite—would benefit the state as well as the church. The legacy of Luther’s ideas about education can be seen today in the Lutheran church’s concern for Christian education, early childhood education and schools, colleges and universities, lay schools for ministry and seminaries. An emphasis on the involvement of laypeople during worship revolutionized the way space inside the parish church was used during the Reformation. Many of the physical barriers between priest and congregation were removed. Consequently, the interiors of local churches took on the appearance that many still have today. Whether or not to use pipe organs and other musical instruments during worship became a hotly debated issue for many churches involved in the Reformation movement. Some went as far as banning the use of organs and instruments. The Leipzig Disputation 1519. Lithograph by Max Seliger. Luther desired hymns to be modest and text-driven—derived from Scripture, expressing Christian values, illuminating faith and the gospel message and lending themselves to congregational singing. 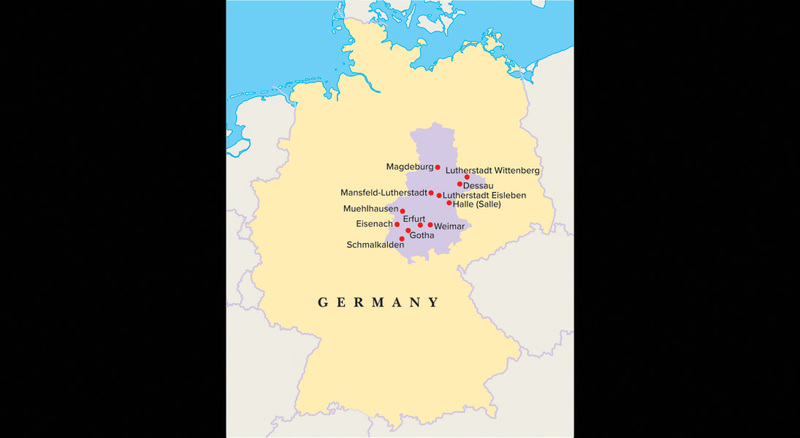 The area of Germany where Luther’s story unfolded is now referred to as “LutherCountry.” This region of Reformation sites and history was part of East Germany for 40 years until the Berlin Wall fell in 1989. The Peace of Augsburg was signed in 1555, despite its dissenters and many loopholes. This settlement represented a victory for state princes and granted recognition to both Lutheranism and Roman Catholicism in Germany, allowing each ruler to decide the religion to be practiced within his state, and permitting residents to migrate to a territory where their denomination was recognized. The first European colonists who came to North America were attempting to escape post-Reformation conflicts and persecution. They were 98 percent Protestant and a diverse mix of denominations, but their newfound freedom wasn’t without intense conflict and intolerance between denominations and religions. In the late 1800s, some North American religious leaders voiced concern over what they feared was hero-worship of Reformation leaders. They encouraged refocusing on theological issues and teachings, the accomplishments and failings of reformers like Luther and Huldrych Zwingli, and contributions of reformers prior to the 16th century. While the Reformation gave birth to Protestantism, today only two of the 10 countries with the largest Protestant populations are European. Today the United States has more Protestants than any other country, about 160 million. Nigeria is second, with nearly 60 million Protestants. China has the third-largest Protestant population, approximately 58 million. About half of all Christians worldwide today are Catholic (50 percent), while more than one-third are Protestant (37 percent). Recent research and surveys reveal that about one-third of mainstream Protestants believe eternal life depends on our actions and living a good life, despite the biblical understanding and teachings of the reformers that salvation is a gift from God received through faith in Christ, through no effort of our own. Reformation Day is a national holiday in Chile, and is officially called Día Nacional de las Iglesias Evangélicas y Protestantes—National Day of the Evangelical and Protestant Churches. If Luther could have had his way, he would have probably deleted the books of Esther, Hebrews, James, Jude and Revelation from the Bible. They were among his least favorite books of the Bible. There were reformers well before Luther and what became known as the Reformation, but Luther and other reformers of his time became the first to skillfully use the power of the printing press to give their ideas a wide audience. The Counter-Reformation—or Catholic Reformation—initiated vigorous efforts to condemn the teachings and influence of Protestant reformers, restore obedience and loyalty, reconvert the converted, and establish new missions and influence globally in regions including Africa, Asia and South America. The Catholic Society of Jesus, whose members are called Jesuits, was founded in 1534 and participated in the Counter-Reformation to stop Protestantism from spreading. Today they represent the largest single religious order of priests and brothers in the Catholic Church. On April 18, 1994, the Church Council of the ELCA officially repudiated and apologized for Luther’s words and teachings that have been appropriated by anti-Semites for the teaching of hatred and violence toward Judaism or toward the Jewish people. The ELCA also pledged to oppose such bigotry within the church and in society and to pray for the increasing cooperation and understanding between Lutheran Christians and the Jewish community. The idea put forth during the Reformation that God sees all believers as spiritually equal had profound repercussions in the church—especially when the idea was applied to women. 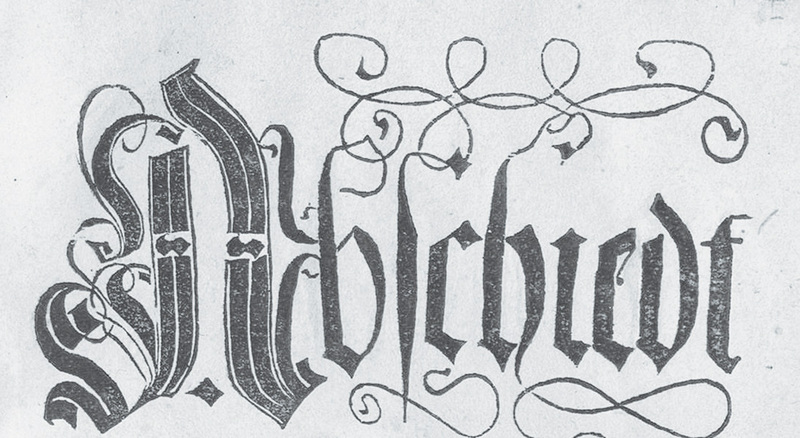 Luther’s exhortation to read and interpret the Bible on one’s own and the impact of the printing press opened new doors for laypeople that changed the church’s approach to faith formation and Christian education forever. One of the far-reaching impacts of the Reformation was the promotion of applying the word of God to every area and endeavor of life, in the church and in society. The early movement of Lutheranism quickly gained followers in the German states, the Netherlands, Scandinavia, Scotland and portions of France. While we associate the Reformation with Germany, broader reformation movements spread across Northern and Western Europe, including England and Switzerland. England went through its own religious and political reformation in the late 1500s through early 1600s. It was influenced by Luther and other reformers, but it was more deeply intertwined with the power, personal beliefs and political motives of England’s kings, queens and political leaders of the time. In the 17th century, Lutherans from Germany, Norway, Sweden, Finland, Iceland and Denmark began to migrate to the United States, bringing their language, culture and Lutheran faith with them. The first Lutheran worship service in North America is believed to have taken place in what is now Manitoba, Canada, on Jan. 23, 1620. 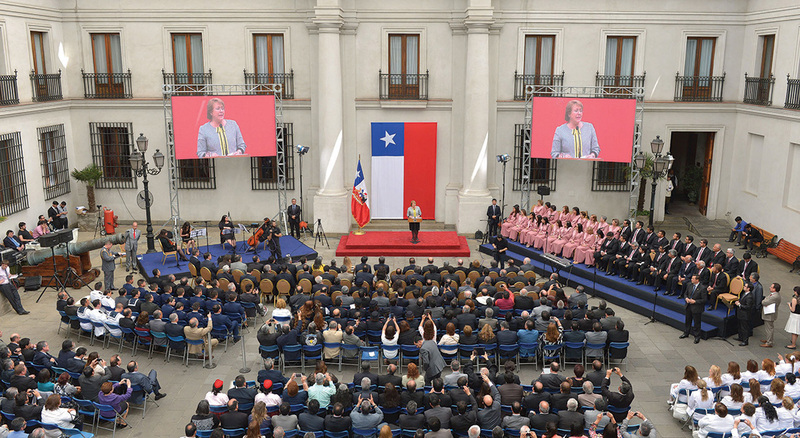 Ceremony in Chile’s Palace of the Moneda for the National Day of the Evangelical and Protestant Churches in 2014. Worldwide, the number of Christians has more than tripled in the last 100 years. But the world’s overall population also has risen rapidly, so Christians make up about the same portion of the world’s population today (32 percent) as they did a century ago (35 percent). An abundance of festivals, exhibits, concerts and tours are taking place across Germany throughout 2017 in recognition of the 500th anniversary of the Reformation. Christian education was a passion of Luther’s. He encouraged a partnership between the home and the church in which parents would take the lead and the church would assist. The reformers taught God’s dominion over the world, creation and all things and helped revive an interest in the world that was increasingly receptive to an encouraging of exploration, study and rediscovery of nature and the universe—without losing sight of faith and spirituality. Stirring changes and new thinking about the church, religion, politics, law, economics, education and society, the Reformation influenced the transition from the Middle Ages to the modern period and Age of Discovery. Researchers and archaeologists have recently corroborated the assertion that Luther was a well-educated thinker and prolific writer, producing an average of 1,800 pages a year. Recently discovered archive documents have revealed that an arranged marriage of Luther by his father may have been imminent for the young man and most likely played a major role in his leaving his study of law and joining the order of the Augustinian Hermits at the monastery in Erfurt. During and after the Reformation, there was a sharp decline in the commissioning of large-scale works of biblical art by Protestant churches.